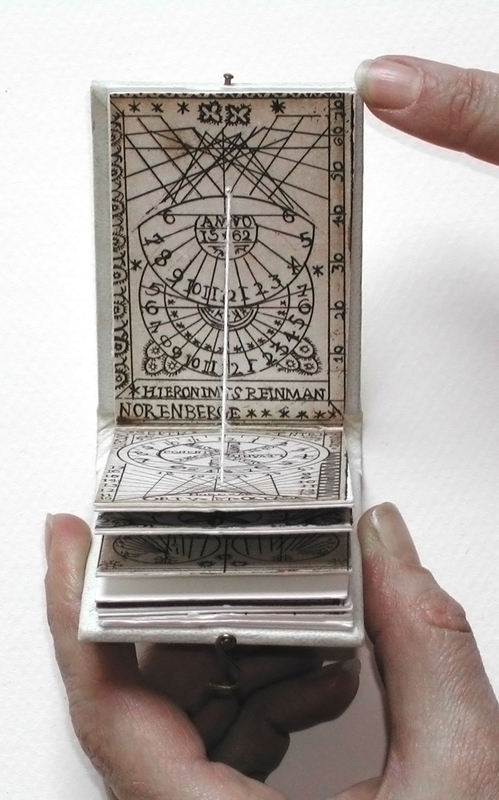 This book takes the form of a portable sun-clock, originally composed of two ivory or wooden rectangles joined with brass hinges and hooks. When facing north, a cord fixed at the latitude casts a shadow indicating the hour. The ten etchings approximate sun-clocks from the 16th-19th centuries mad in Germany and Japan. One copy was printed for each hour of the day in Times.